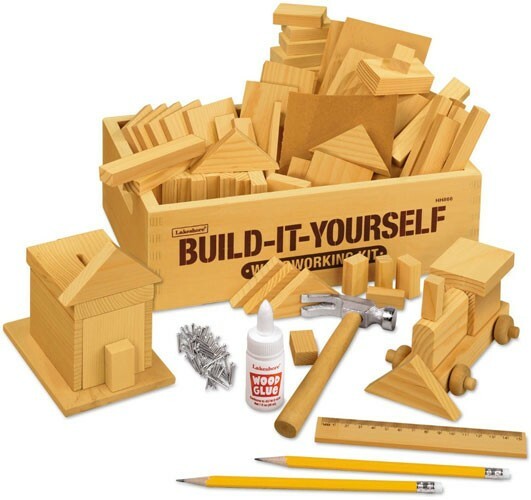 Imagine it, then build it with this kit from Lakeshore Learning Materials! Kids create project after project using smooth pine pieces in a wide variety of shapes. We've also included a lightweight hammer, plus nails, a guide with instructions for multiple projects and more -- all in a handy 7 3/4" x 12" box. 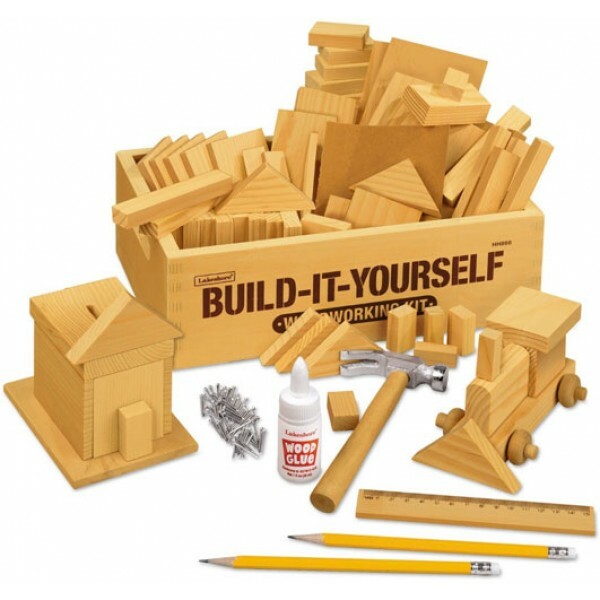 This kit includes over 80 pieces to provide a great way to introduce kids to woodworking. Working with wood also helps develop creativity, problem solving, and motor skills. Unlike many kits for kids, there are no pre-drilled holes, so your Mighty Girl will know what it really feels like to complete a project from start to finish!